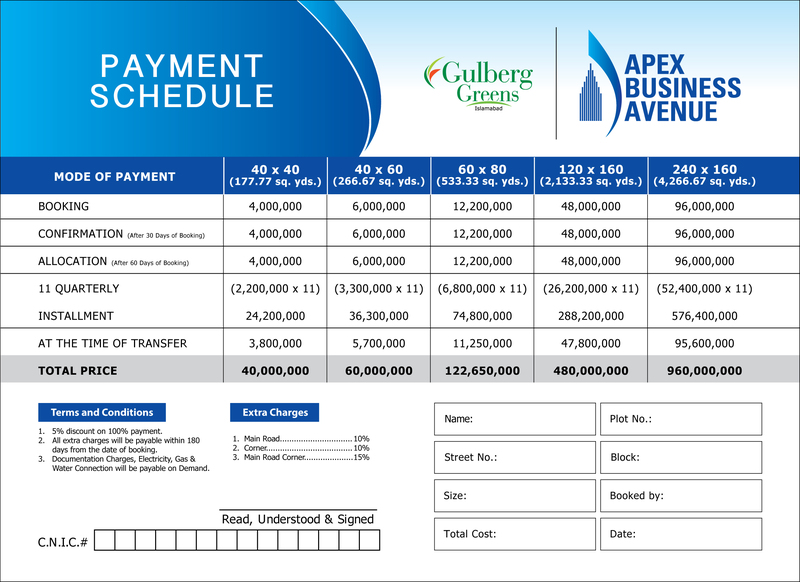 Apex Business Avenue offers commercial plots on 4 years installment plan, so it is an attractive opportunity for investors & builders to grab a good location plot to start their commercial project in Gulberg Greens Islamabad with just 10% payment of plot. 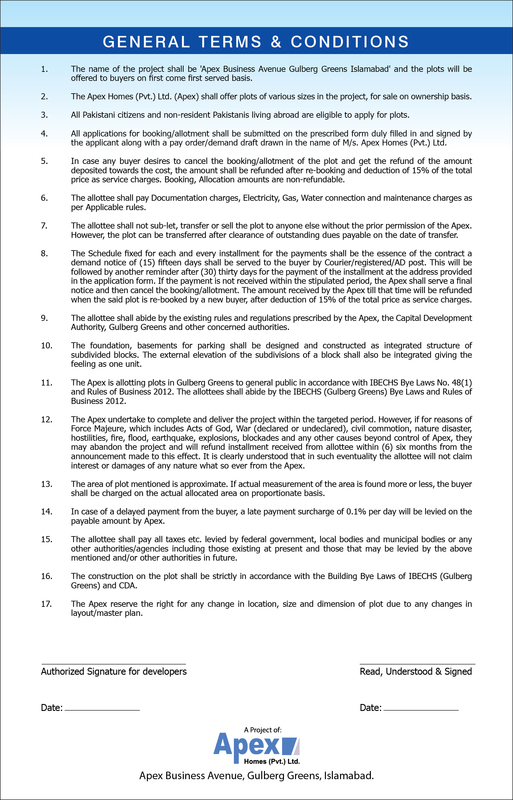 You can construct ground + 8 storeys and pent house on these commercial plots. 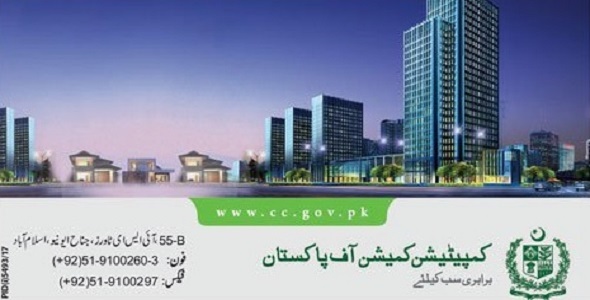 There are various commerial projects under construction in Gulberg Greens Islamabad, and commercial prices are quite high. 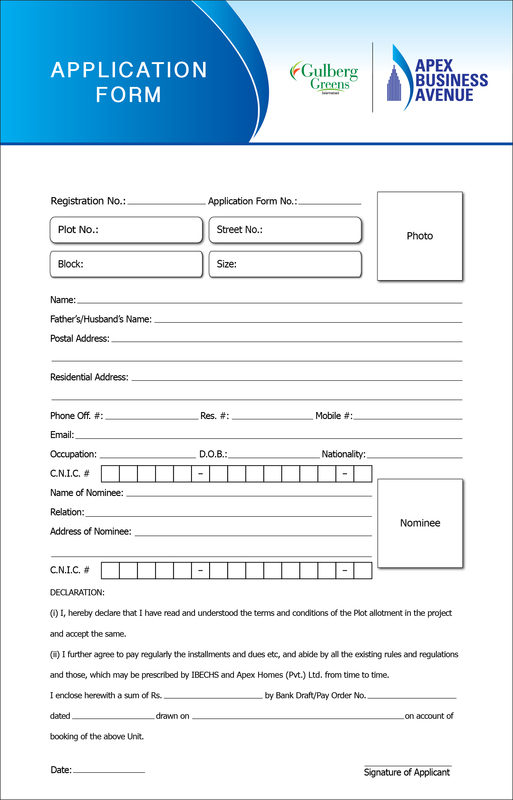 This is an ideal investment opportunity as plots are very limited and available on first come first served basis.